It was a pain in the - you know what - but I'm pretty happy with the way it turned out. I may make six of them - teapot only - for the 3 x 6 bee I belong to. 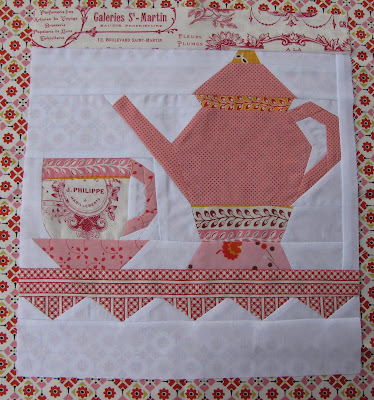 and the teapot was inspired by this teapot here.from Ayumi's blog. It is lovely outside and I'm on my way out to do some gardening and prepare for my son Luc's 4th birthday. Have a lovely day! Wow, this is fantastic! 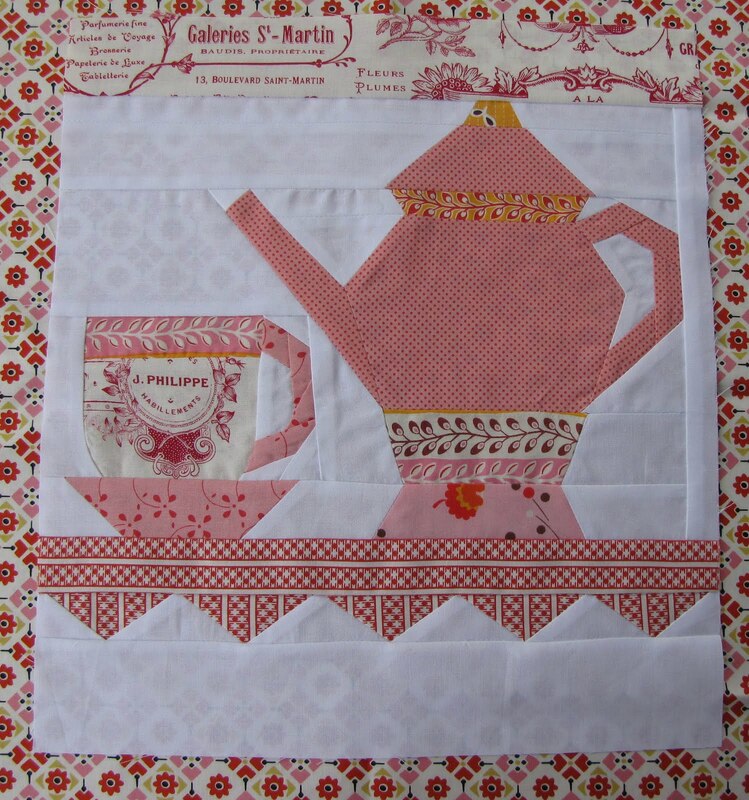 What a lovely block, and the fabric you used is perfect!